We expect around 10 percent return from equities. 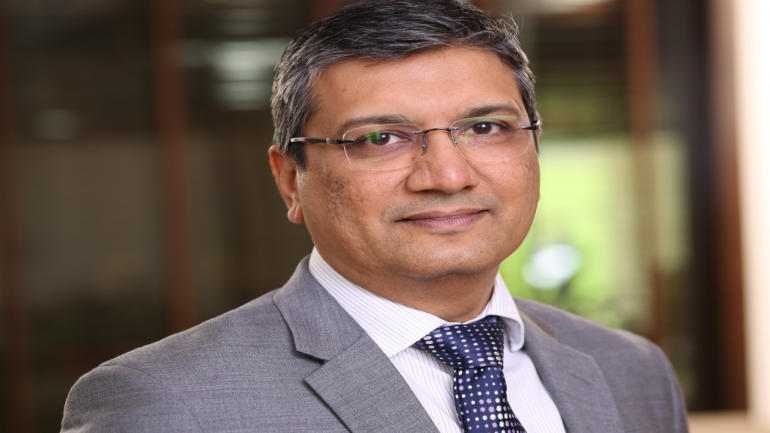 While we expect markets to be driven by the earnings growth of 15-20 percent, high current valuations may mean that the market may not go up in line with earnings, Mihir Vora, director & CIO of Max Life Insurance, said in an interview with Moneycontrol’s Kshitij Anand. Q: Should investors be worried about the global slowdown? A: India remains one of the fastest growing economies globally due to the strength of domestic consumption. This will remain so even in the face of a global slowdown. This is because of structural factors such as 1) demographics continue to support consumption growth 2) India is among the least dependent on export-led growth. A global slowdown may bring down oil prices to which India is quite vulnerable. Moreover, we may see a relative increase in fund flows to growth markets like India. A mild global slowdown would not be an issue for India. However, if there is a sharp change or a global shock (led by unique events like Brexit, trade wars, nuclear threats or a sharp fall in global markets), then there would be a ‘’risk-off’’ sentiment and all markets may see outflows or a sell-off, to the safety of developed market government bonds (US, EU, Japan). If slowdown persists for more than a few quarters, it will impact the Indian economy and markets. Q: Where do you see benchmark indices at the end of FY20? A: We expect around 10 percent returns from equities. While we expect markets to be driven by the earnings growth of 15-20 percent, high current valuations may mean that the markets may not go up in line with earnings. A: It is difficult to make a sweeping statement on mid and smallcaps. Given a large number of stocks in this space. It is always possible to find 5-10 midcap winners in a portfolio of 35-45 stocks. However, given the volatility and slowdown in many indicators in India, overall, we prefer largecaps at this point in time. A: We expect the currency to be in a range of 5 percent from current levels, with a bias towards weakeness. Q: Which sectors are likely to remain in limelight in FY20 in the backdrop of the political events? A: In the run-up to the elections, we would not place bets on any particular outcome. The history of 2004 (Nifty down 20 percent in two days) and 2009 (Nifty up 18 percent in a day) shows that election outcomes can be unexpected. However, the priorities for any government will be the same i.e. encourage investment, keep consumption robust and reduce inequalities. It is also a source of comfort that some of the most important reforms in the Indian economy have happened in the era of coalition governments. Our portfolio remains biased in favour of consumer staples, private sector banks and exporters like IT and pharma. We have increased exposure to utilities. We will look to add auto, capital goods and construction depending on data improving in these segments. Metals and energy are sectors where we take calls which are more dependent on global movements. A) Local factors: 1) elections 2) monsoon/El Nino 3) RBI stance on liquidity and monetary policy 4) resolution of NBFC liquidity issues 5) GST collections and implementation of steps to prevent leakage 6) government policy to stimulate private sector investments 7) NPA resolution 8) recovery in real estate segment. Global factors: 1) Brexit 2) China-US trade war 3) Fed and ECB stance on balance sheet contraction 4) growth, as indicators are pointing to a slowdown. A: In India, we are at a critical stage of the economy. While consumption and government-led spending have kept the economy on track for the past few years, there are signs of these slowing down. There is limited fiscal space available for the government to stimulate spending and growth. Private investment cycle needs to kick-start and the problems of NPAs, sluggishness in real estate, and the NBFC/PSU bank issues still persist. On the other hand, earnings growth for largecaps is likely to be good in FY20, driven by banking and finance segments. Moreover, global flows have picked up as the US Federal Reserve and European Central Bank have changed the stance to more dovish. Local mutual funds and insurance companies continue to get good inflows. Thus, for the stock market, there is good liquidity support that has led to markets doing well even in the face of some slowdown. We expect markets to be volatile this year, with a positive bias.